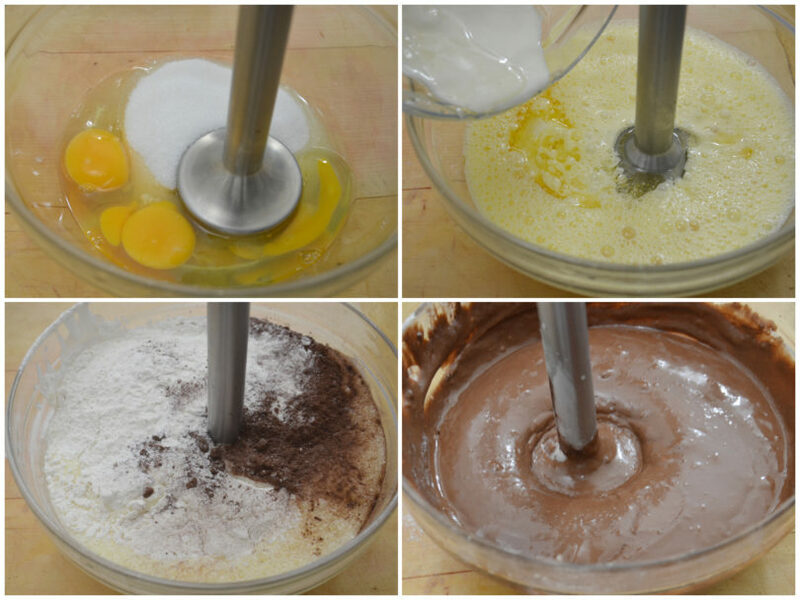 Put the eggs and sugar directly in the glass of the mixer or in a glass bowl and operate the blender. Add the yogurt, the seed oil, then the bitter cocoa, the flour and the baking powder for sifted desserts. Blend to the maximum until a homogeneous mixture is obtained. 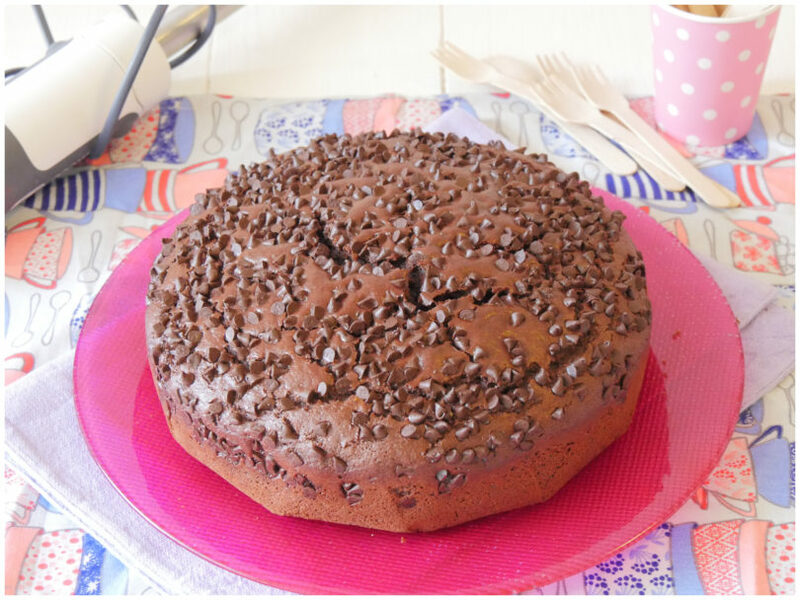 Pour the mixture into a buttered and floured mold, leveled as much as possible and covered with chocolate chips. 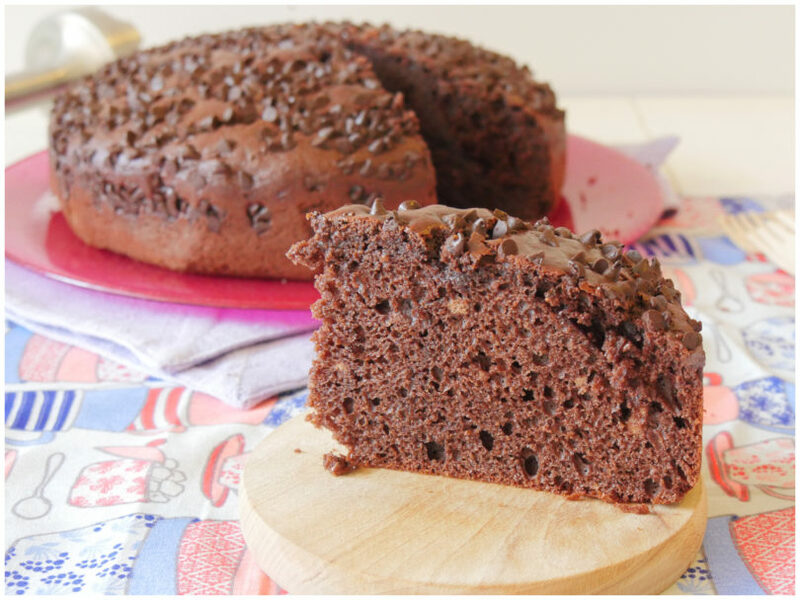 Bake the cake in a preheated oven at 180 degrees for about 45 minutes. Let it cool then serve. Preheat the oven to 180°C/350°F/Gas Mark 4. Place the paper cases in a cupcake tray. In a small saucepan, bring the milk and liquorice to a boil. Remove from the heat, stir and press on the liquorice to extract the flavour. Cover and leave to infuse for at least 30 mins. Taste the milk. It should be a liquorice milk flavour, then strain. Meanwhile in a heatproof bowl pour 175ml boiling water over the dates and leave to soak for 20 mins then mash with a fork. Sift the flour and bicarbonate of soda into a bowl. Cream together the butter, sugar and vanilla seeds or extract for about 5 mins with an electric mixer. Add the eggs gradually with 1tsp flour to stop the mixture curdling. Fold in the remaining flour, date mixture and milk. 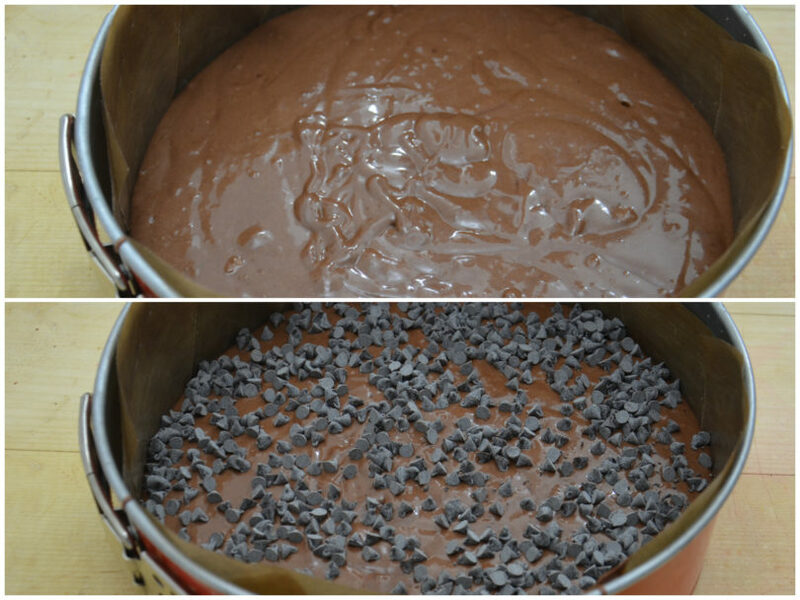 Divide the batter between the cases and bake for 15–20 mins, or until the tops spring back to the touch. Remove from the oven, leave in the tins a couple of minutes, then cool on a wire rack. Make the buttercream by creaming the butter and icing sugar for at least five minutes in an electric mixer (or with a hand-held mixer). To make the caramel, in a small heavy-based pan, dissolve the sugar with 3 tbsp water over a gentle heat, then increase to a boil. Leave the pan undisturbed for a few mins, until it turns a lovely rich, caramel colour and has thickened. Give it your full attention at this stage! Remove from the heat and add the cream and treacle, protecting your hands with a tea towel. Stir well, then return to the heat with the liquorice, and bring to a boil. Reduce the heat to very low, stirring all the time, and continue to cook until the mixture thickens. Remove and leave for all the flavours to mingle and allow the mixture to cool. Divide the buttercream between the cakes, piping it on if you wish and decorate with liquorice allsorts. Trick or treat? Which of these spooky recipes do you prefer? We’ve got 15 Halloween face-offs, click through each to vote. Halloween cupcakes or spider’s web whoopie pies? Or would you rather make an inventive whoopee pie? You don’t have to use a gingerbread man cutter with this Hummingbird Bakery recipe, but it’s so much fun to decorate each one individually! Leaving the dough to rest overnight makes the cookies better the next day. Sift together the flour, bicarbonate of soda, ginger, cinnamon, allspice, nutmeg and salt in a large bowl and set aside. Put the butter and sugars in a freestanding electric mixer with a paddle attachment (or use a handheld electric whisk) and cream on slow speed until light and fluffy. Turn the mixer up to medium speed and beat in the egg and treacle, scraping any unmixed ingredients from the side of the bowl with a rubber spatula. Turn the mixer back down to slow speed and slowly add the flour mixture a couple of tablespoons at a time, stopping often to scrape any unmixed ingredients from the side of the bowl with a rubber spatula. Once an even dough has formed, take it out of the mixer, divide into 3 and wrap each piece in clingfilm. When you are ready to bake the cookies, preheat the oven to 170°C (325°F) Gas 3. Take the dough out of the fridge and leave to soften for about 10 minutes. Lightly dust a clean work surface with flour and roll out the dough to a thickness of about 4 mm with a rolling pin. Cut out shapes with the biscuit cutters. Arrange the cookies on the prepared baking trays and bake in the preheated oven for about 10–15 minutes. Leave the cookies to cool slightly on the trays before turning out onto a wire cooling rack to cool completely. Beat the egg white and lemon juice together in a freestanding electric mixer with a paddle attachment (or use a handheld electric whisk). Gradually start adding the icing sugar, mixing well after each addition to ensure all sugar is incorporated. Whisk until you get stiff peaks. If the icing is too runny, add a little more sugar. Stir in a couple of drops of food colouring, if using, and decorate the cookies.